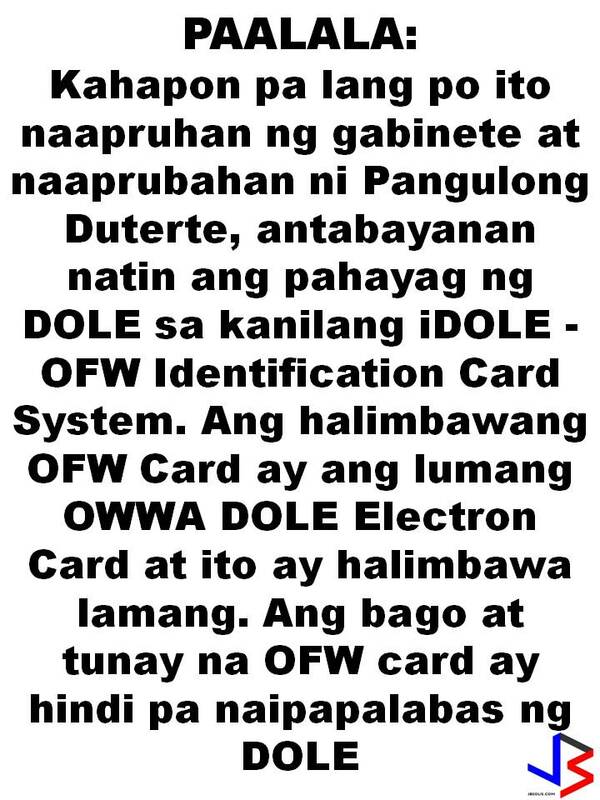 iDOLE - OFW Identification Card System. 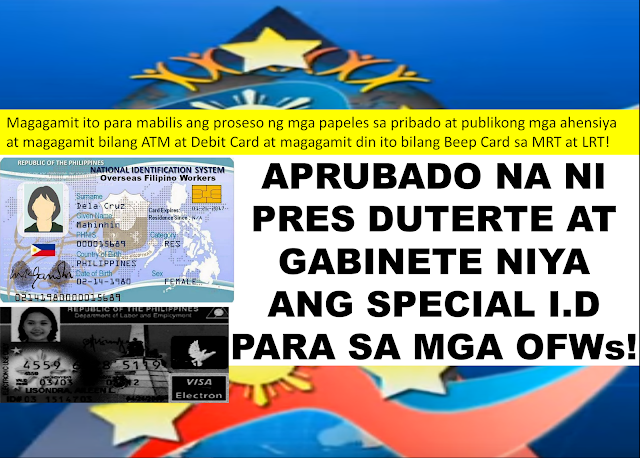 President Rodrigo Duterte on Tuesday approved the iDOLE-OFW ID card system "with conditions," said Palace spokesperson Ernesto Abella office. 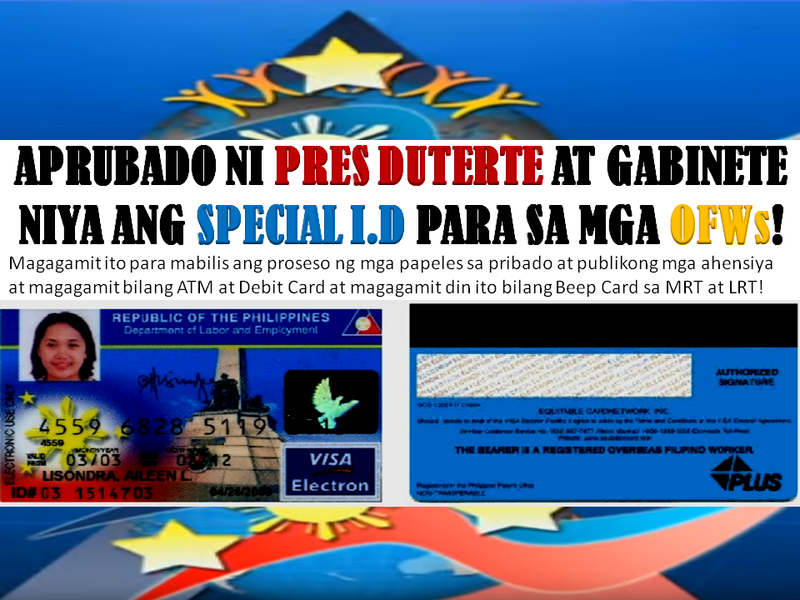 This Unique ID Card for OFWs has the following features - OFWs working abroad can easily transact with government and private agencies and provide access to their records with government agencies like NSO, SSS, PAG-IBIG, and Philhealth, NBI and other agencies. - will serve as Debit Card / ATM card for OFW Bank - also, it will be convenient for OFWs to use their card as beep card for MRT/LRT transportations. HOW TO PROCESS SENIOR CITIZEN'S I.D. National ID System and Sim card Registration: Will it really curb crimes?